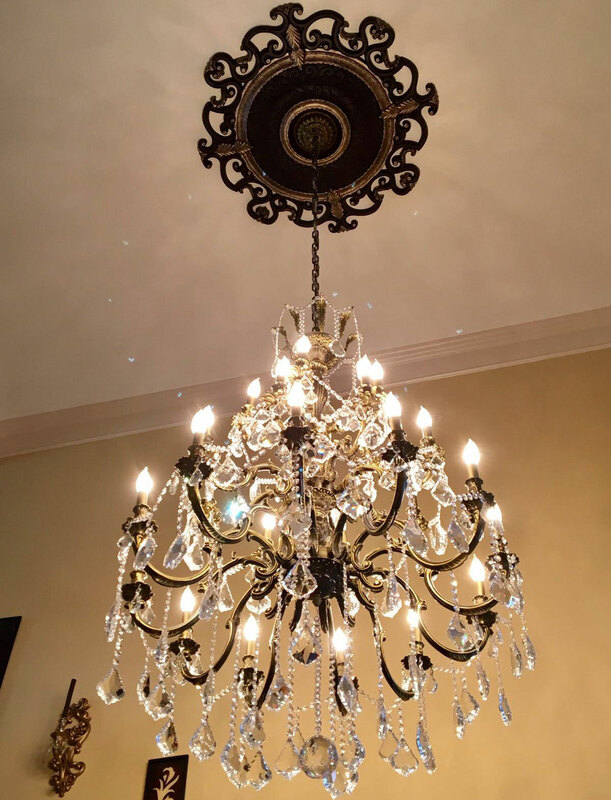 Last month, recent Architectural Depot customers Tim and Katie bought several ceiling medallions for their home. Of the several options online, they purchased an Ekena Millwork Orleans ceiling medallion for one of the new rooms in the home. 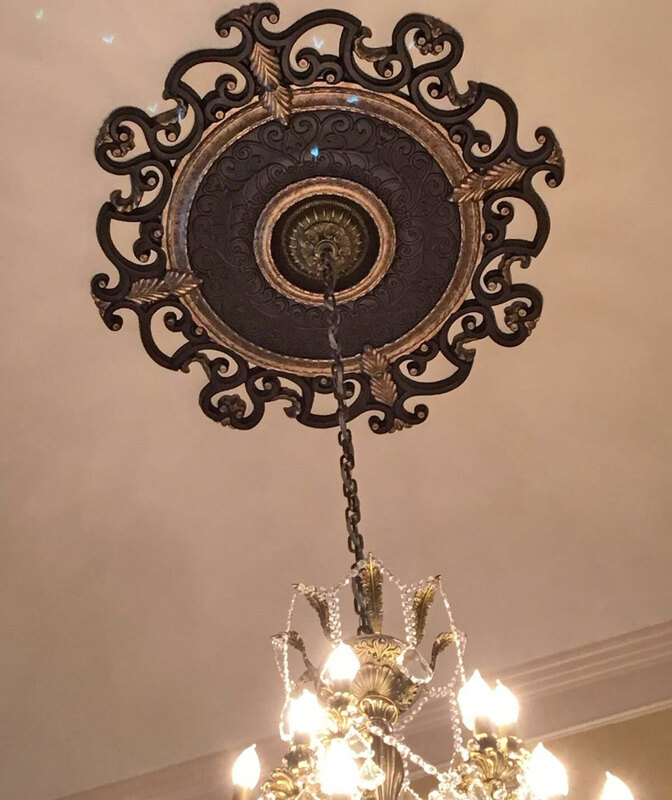 Originally, the ceiling medallion that they ordered came in a primed white finish. Looking at the picture of their picture and comparing it to the item online, the difference is obvious. Tim and Katie decided that since the medallion came in a primed finish, it would easy to paint it. After looking at the different paint options, they chose some paint that would match the lighting fixture colors. Once the product was completed, they sent us the project photo and it came out great!